REPORT OF THE COMMISSION OF THE AFRICAN UNION ON THE FOLLOW-UP TO THE RELEVANT PROVISIONS OF THE DECLARATION OF THE SUMMIT OF THE MEMBER COUNTRIES OF THE NOUAKCHOTT PROCESS OF 18 DECEMBER 2014 I. INTRODUCTION 1. At the Summit of the countries participating in the Nouakchott Process on the Enhancement of Security Cooperation and the Operationalization of the African Peace and Security Architecture (APSA) in the Sahelo-Saharan Region, held in the Mauritanian capital on 18 December 2014, the Heads of State and Government fully supported the efforts to strengthen border security through enhanced operational cooperation modalities, such as joint patrols and mixed units involving the defense and security forces of the countries of the region, on the basis of existing experiences. In this regard, the Heads of State and Government requested the Commission, in close cooperation with the Economic Community of West African States (ECOWAS) and with the support of the international partners, including the United Nations (UN), the European Union (EU) and other concerned international stakeholders, to take all necessary measures, including the convening, in Mali, of a meeting of Ministers of Defense, as well as of the Chiefs of Defense Staff of the countries of the region, to finalize the necessary studies for the establishment of these mechanisms. 1. At the Summit of the countries participating in the Nouakchott Process on the Enhancement of Security Cooperation and the Operationalization of the African Peace and Security Architecture (APSA) in the Sahelo-Saharan Region, held in the Mauritanian capital on 18 December 2014, the Heads of State and Government fully supported the efforts to strengthen border security through enhanced operational cooperation modalities, such as joint patrols and mixed units involving the defense and security forces of the countries of the region, on the basis of existing experiences. In this regard, the Heads of State and Government requested the Commission, in close cooperation with the Economic Community of West African States (ECOWAS) and with the support of the international partners, including the United Nations (UN), the European Union (EU) and other concerned international stakeholders, to take all necessary measures, including the convening, in Mali, of a meeting of Ministers of Defense, as well as of the Chiefs of Defense Staff of the countries of the region, to finalize the necessary studies for the establishment of these mechanisms. 2. Furthermore, the Heads of State and Government welcomed the conclusions of the ministerial meeting of the Troop Contributing Countries to the UN Multidimensional Integrated Stabilization Mission in Mali (MINUSMA), held in Niamey, Niger, on 5 November 2014, and called upon the UN Security Council to urgently take all the necessary measures to enhance the capacity of the Mission, so as to enable it to effectively carry out its mandate. To this end, they requested the Chairperson of the Commission to urgently initiate the necessary consultations with the countries of the region, as well as with the UN and the other concerned actors, including the convening of a meeting of experts, with a view to submitting concrete recommendations on the way forward to the Peace and Security Council (PSC), for adoption and transmission to the UN Security Council. 3. The present report provides an update on the security threats facing the Sahelo-Saharan region and the state of implementation of the Nouakchott Process, as well as on the efforts to neutralize the Boko Haram terrorist group. It outlines the key elements of the generic Concept of Operations (CONOPS) for joint patrols and mixed units and makes concrete recommendations on the modalities for strengthening MINUSMA. The report concludes with observations on the way forward. 4. The situation in the Sahel is marked by repeated attempts by terrorist entities to regroup in the northern Mali and the multiplication of their attacks, including the use of improvised explosive devices, against the Malian army, MINUSMA and the French forces of the Barkhane operation. The continuous and indiscriminate attacks carried out by the Boko Haram terrorist group in Nigeria and in the neighboring countries should also be highlighted. 5. The situation is worsened by the proliferation of weapons emanating from the Libyan military depots and by the continuing violence and the collapse of State authority in Libya, which has enabled the terrorist groups, including the Islamic State (IS), to establish safe havens in parts of the country. Furthermore, it is important to note the many cases of drug seizures, which illustrate the extent of illicit drug trafficking in the region and the growing links between terrorism and transnational organized crime. 6. At their different meetings, the countries participating in the Nouakchott Process, while noting with satisfaction the progress made in addressing the security challenges at hand, also acknowledged that the security situation remains a source of serious concern. They, therefore, stressed the need for continued vigilance and resolute efforts to deepen security cooperation on the basis of a common vision of collective security, transparency and shared responsibility. 7. The first ministerial meeting on the Enhancement of Security Cooperation and the Operationalization of the APSA in the Sahelo-Saharan region, held in Nouakchott, on 17 March 2013, identified a set of measures to address the security challenges facing the region. It was agreed, in particular, that the Ministers concerned would meet at least once every six months, while the Heads of Intelligence and Security Services (HISS) would meet once every two months. 8. As a follow-up to the communiqué of the Nouakchott ministerial meeting, the Commission has, to date, organized seven meetings of the HISS. The first meeting was held in Bamako on 18 April 2013; the second in Abidjan, on 20 and 21 June 2013; the third in N’Djamena on 10 September 2013, the fourth in Niamey on 17 and 18 February 2014; the fifth in Ouagadougou on 19 and 20 May 2014; the sixth in Dakar on 13 and 14 November 2014; and the seventh meeting in Algiers on 15 and 16 April 2015. 9. These meetings, which result in the adoption of operational conclusions, provide an ideal platform to exchange views on the overall situation in the Sahelo-Saharan region, the enhancement of security cooperation among the countries concerned and the review of national and regional activities for capacity building aimed at improving the effectiveness of the efforts towards the prevention and combatting of terrorism and transnational organized crime. They have also proved to be a valuable tool for confidence building. It should be noted that, in addition to the countries of the region, the following structures and organizations participate in the meetings of the Nouakchott Process: the African Centre for the Study and Research on Terrorism (ACSRT), the Community of Sahelo-Saharan States (CEN-SAD), the Committee of Intelligence and Security Services of Africa (CISSA), ECOWAS, the AU Mission for Mali and the Sahel (MISAHEL), the North African Regional Capacity (NARC) and the Fusion and Liaison Unit (UFL), as well as the UN (MINUSMA, the UN Office for West Africa - UNOWA and the Office of the UN Special Envoy for the Sahel region - OSES). 11. Significant progress has been made in the promotion of interaction among the countries and the organizations participating in the Nouakchott Process, in order to ensure a continuous update of the security situation in the region and the status of the threats posed by the terrorist and criminal groups. Notably, these interactions take place during the HISS meetings. In order to facilitate this process, the Commission took measures to facilitate the exchange of contact details among the HISS. Furthermore, and within the framework of the Ouagadougou operational conclusions, the Commission prepared a format for the presentations made during the ordinary meetings of the HISS. This format was approved by the HISS at the Dakar meeting. The Algiers meeting agreed to improve the format, with the inclusion of additional operational elements that can be immediately exploited by the Intelligence and security services. 12. The HISS here paid special attention to the establishment of a secure communication system among the intelligence and security services of the countries of the region. At their Abidjan meeting, they stressed the need for the early establishment of such a system by CISSA, within the framework of the expanded system programmed for all the CISSA member services. In view of the delay in the implementation of the CISSA secure communication system, the UFL proposed, as a temporary arrangement, to extend its own system to the three countries of the Nouakchott Process which are not members of the UFL (Côte d’Ivoire, Guinea and Senegal), as well as to ACSRT, CISSA and MISAHEL. The UFL has since then extended its secure communication system to Senegal, Côte d’Ivoire and MISAHEL. On 10 and 11 December 2014, the UFL, with the support of the Algerian services, organized technical training on its secure communication system for the end-users of this system. The Algiers meeting welcomed the assessment by UFL of the state of utilization by the services of the countries of the region of the secure communication system, including statistical data on the number of messages exchanged, as well as the measures envisaged to improve the system and ensure continuous training for its users. 13. At their different meetings, the countries of the region stressed the importance of capacity building and other training activities in the area of intelligence collection and analysis. In this regard, ACSRT and CISSA prepared a capacity building matrix to guide the activities to be carried out in support of Member States. x) the workshops organized, since 2011, by ACSRT, in cooperation with CISSA, on the fight against radicalization and violent extremism in Africa. 15. At their Niamey meeting, the HISS noted with satisfaction the capacity building activities carried out by ACSRT, as well as the initiatives taken by CISSA and UFL. They called for the continuation of these efforts on the basis of the capacity building matrix prepared by ACSRT, CISSA and UFL. In this respect, they stressed the need for the AU Member States to contribute financially to the implementation of the planned programmes. (iv) the dispatch, as part of the follow-up to the Abidjan operational conclusions and at the invitation of the Libyan Government, of a joint ACSRT, CISSA and UFL mission to Libya, from 3 to 5 December 2013. The objective of the mission was to: 1) obtain first-hand information on the measures taken by the Libyan Government to address the challenges relating to border security; 2) discuss cooperation modalities between Libya and the countries of the region; and 3) agree on modalities for effective communication between Libya, on the one hand, and the ACSRT, CISSA and UFL, on the other, as well as on ways and means to mobilize support for Libya. The joint consultative mission was followed by the organization by the Commission, in cooperation with the Libyan Government, in Tripoli, on 4 and 5 September 2013, of a workshop on operational strengthening of security at land borders in the Sahelo-Saharan region. (ix) the enhancement, as agreed in Algiers, of cooperation and exchange of information for better knowledge and more effective control of the activities of non-governmental organizations engaged in activities likely to encourage violent extremism and terrorism. 18. At their different meetings, the countries of the region underscored the need to pursue and intensify the efforts to neutralize the Boko Haram terrorist group. A special session was devoted to this issue at the Ouagadougou HISS meeting. 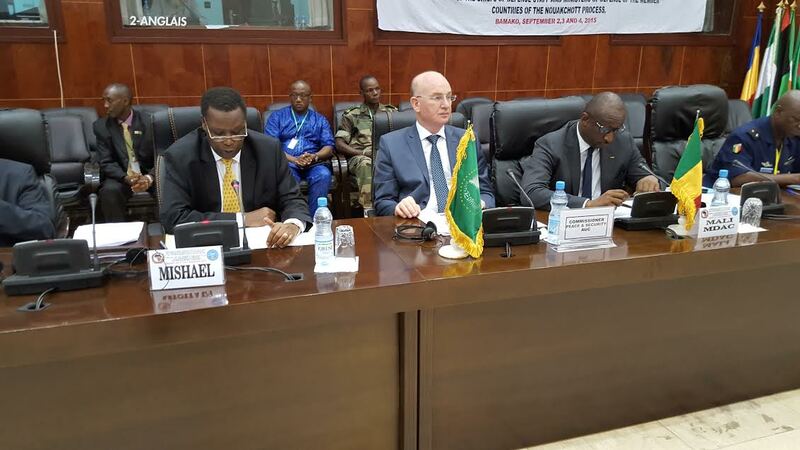 Subsequently, the 469th meeting of the PSC that took place on 25 November 2014, welcomed the Final Communiqué of the Extraordinary Summit of the Lake Chad Basin Commission (LCBC), held in Niamey, on 7 October 2014, which decided to establish a Multinational Joint Task Force (MNJTF) in the Lake Chad Basin, in order to coordinate the efforts to combat the Boko Haram terrorist group. At its 484th meeting, held on 29 January 2015, at the level of Heads of State and Government, the PSC authorized the deployment of the MNJTF for an initial period of twelve months and with a troop strength of up to 7,000 military and other personnel, a figure which was later increased to 10,000 personnel. As a follow-up to that decision, the Commission facilitated the convening of meetings which developed the MNJTF CONOPS, before endorsement by the PSC at its 489th meeting, held on 3 March 2015, as well as other related documents. (iv) the appointment of the Force Commander (Nigeria), the Deputy Commander (Cameroon), the Chief of Staff of the MNJTF (Chad). 20. The Nouakchott ministerial meeting considered the issue of the operationalization of APSA in the Sahelo-Saharan region, given the inadequacy of the geographical coverage of the various existing structures and organizations. The meeting stressed the need for greater synergy among the various components of the African Standby Force (ASF) covering North, West and Central Africa, to address the security challenges facing the sahelo-saharan region, particularly through closer cooperation as regards intelligence sharing, training, equipment and operational capacity building. At their Niamey ministerial meeting, the countries of the region agreed to convene meetings of the Chiefs of Defense Staff and Ministers of Defense, in order to consider generic CONOPS for joint patrols and mixed units. 21. The Nouakchott Summit fully supported the efforts aimed at strengthening border security, through enhanced operational cooperation modalities, such as joint patrols and mixed units involving the defense and security forces of the countries of the region. The Summit stressed that these enhanced modalities for operational cooperation would constitute the components of a Capacity for Immediate Response to Crises in the Sahel (CIRCS). The following paragraphs outline the key aspects of the joint patrols and mixed units. 22. The AU constitutive Act and the PSC Protocol provide the overall framework for the efforts to enhance security cooperation in the region. The establishment of security arrangements among the Sahel countries should aim at translating into reality the affirmation of the indivisibility of peace and security in the region and, more generally, in Africa, in accordance with the Common African Defense and Security Policy (CADSP), adopted by the second Extraordinary Session of the Assembly of the Union, held in Sirte, Libya, on 28 February 2004. Other relevant AU instruments must also be taken into account, including the 1999 Algiers Convention on the Prevention and Combating of Terrorism and its Additional 2004 Protocol, the 2005 AU Non-Aggression and Common Defense Pact and the 2012 AU Convention on Cross-border Cooperation in Africa (Niamey Convention). (f) the existence of safe heavens, training and logistics supply centers for terrorists. 24. In the face of the security challenges confronting the Sahel, it is imperative that countries of the region enhance their cooperation and their capacity of action. In so doing, they would more effectively assume their responsibilities towards the promotion of regional security, through the pooling of their respective capabilities, in a spirit of cooperation, solidarity and integration. (c). Scenario 3: opportunistic operations carried out, with the consent of the concerned countries, in a specific area, in the immediate vicinity of a border and involving one or more units of one or several countries. The units involved may not necessarily be part of a standby chart organization established by these countries. (c) to promote national and regional ownership in the search for solutions to the existing security challenges. 27. The overall objective is to establish efficient and flexible operational security arrangements capable of conducting preventive and other related operations against terrorist and transnational organized crime groups. (h) to strengthen cooperation between the forces and services operating in the border areas. (e) the local populations adhere to or do not oppose the actions taken. 30. Two options could be considered in terms of security arrangements among the countries of the region to address the common threats they face. On the one hand, there is the joint patrols system; on the other, the establishment of integrated units in the form of Combined Joint Task Forces (CJTF). The proposed security arrangements will aim at strengthening existing initiatives of the countries of the region, whether bilateral or multilateral, and not to duplicate them. In other words, the objective is to build upon what already exists to enable the countries of the region to better address their common security challenges. • Implementation processes - The joint patrols are an enhanced and flexible form of cooperation among the countries of the region, which can act jointly or in an ad hoc manner or formalize their cooperation by signing bilateral or multilateral agreements varying according to the degree of their commitments. The joint patrols carry out operational reconnaissance, surveillance and control missions, planned jointly and implemented in principle by military units, with the support of other security forces. They are conducted on both sides of the borders or within the countries concerned, based on the threats and existing agreements. - neutralizing terrorist groups and other cross-border criminal entities. • Possible configurations - As part of the implementation of joint patrols, the countries could make pledges on a bilateral or multilateral basis, and operate patrols according to their capacities and the supposed or actual threats on the ground. These contributions may be in the form of battle groups (battalions 700-850 personnel), and combat service support. A command or coordination cell can be established based on modalities to be agreed upon by the concerned countries. In addition, the area of operation for these joint patrols can cover "border areas" between the concerned countries and be expanded on an ad hoc basis. • Logistical and financial support for the joint patrols - The logistical and financial support for the joint patrols is the responsibility of the concerned countries, with the support of the AU, as well as of bilateral and multilateral partners. The units must have sufficient logistical autonomy, depending on the duration of the mission and the area of operation. • Implementation processes – Within the framework of the tasks identified above, the concerned countries may decide to establish fully integrated units over a given period of time or on a more permanent basis, based on identified objectives, course of actions and the scope of the area of operation. The establishment of CJTFs aims to ensure the pooling of resources and to enhance coordination. Their success presupposes that the following conditions are met: joint command, interoperability of communication equipment, joint planning and preparation of orders ahead of the conduct of operations, harmonization of command procedures and availability of an integrated logistical support. • Missions - The CJTFs carry out the same tasks as the joint patrols and other related tasks, as directed by the concerned countries. However, they are more appropriate for more offensive against pre-identified targets. • Possible configurations - It is proposed that the CJTFs be of the minimum size of a Battle Group (BG, with a strength of 1,000 to 1,500 personnel). These BGs may be predominantly motorized or armored infantry, according to the likely targets in the agreed areas of deployment and the capabilities made available by the countries concerned. The BGs must have their own combat support capabilities for units on the frontline. They may also benefit from the capacities and actions of special units, especially anti-terrorist or other units, as well as force multipliers of a higher quality. The CJTFs are multinational in nature. The constituent units can be integrated up to the level of the elementary unit (150 personnel). • Logistical and financial support - Like the joint patrols, the logistical and financial support for CJTFs is provided by the contributing countries, with the support of the AU, regional organizations and partners, as required. 31. Possible Areas of operation - The Area of Operations (AoO) for joint patrols and mixed units, established on a bilateral or multilateral basis, by the countries of the region is determined by the concerned countries. 32. Area of Interest - The Area of Interest for the security arrangements agreed upon by the countries of the region could cover a wider area. 33. At the strategic level - it is proposed that the Chiefs of Defense Staff of the countries of the region meet regularly to assess the actions undertaken and make recommendations on the way forward. It is further proposed that the meetings of the HISS of the member countries of the Nouakchott Process be expanded to include the representatives of the Chiefs of Defense Staff. Such a forum will provide a framework for regular exchange of views on ongoing operations and activities, as well as on ways of enhancing their effectiveness. In between the ordinary meetings of the HISS and the representatives of the Chiefs of Defense Staff, the countries of the region would maintain close contact among their experts in the planning and conduct of operations, within the army headquarters of the concerned countries. These will have to be networked in order to enable them to communicate constantly and in real time. They must be provided with administrative and logistical facilities by their respective countries, in order to be able to meet regularly and whenever the situation demands. 34. At the operational level, it is proposed that countries setting up joint patrols and CJTFs establish lean Operation Coordination Cells (OCC), which would assist in the decision-making process. These structures should be composed of intelligence officers or experts and operational planners. The officers and experts should work closely with the army headquarters and the intelligence services of their respective countries in monitoring operations and assisting the deployed units. 35. The security arrangements contributing countries will agree, among themselves, on bilateral or multilateral "Memoranda of Understanding" on resource contributions. These Memoranda should address, inter alia, the stationing, movement of forces, aircraft over flight and the right of "pursuit" or "reverse pursuit" of criminal groups and individuals across borders. 36. The countries of the region have already taken security cooperation initiatives, particularly through joint patrols. Hence, the need to establish coordination mechanisms with the efforts made bilaterally or within the framework of the G5 Sahel. Similarly, such coordination mechanism must include the regional brigades of the African Standby Force (ASF) in North, West and Central Africa. Furthermore, and in order to enable the effective conduct of joint operations, it is critical that the countries of the region work towards the required level of interoperability, including harmonizing doctrines and procedures, sharing of infrastructure and other support systems, as well as being able to communicate with each other. However, it should be noted that interoperability does not necessarily imply common military equipment. 37. The training of forces and operations in the Sahelo-Saharan region require adequate and sufficient resources. National efforts should be complemented by support from other African countries and the international community. The establishment of a Fund for Operations in the Sahel could be considered as part of a resource mobilization strategy. 38. The AU will play a dual role in the systematization of the joint patrols and the establishment of mixed units. On the one hand, the PSC could, whenever two or more countries of the region establish a security cooperation mechanism, adopt a decision to endorse the initiative in question and thus give it greater political legitimacy. On the other, the Commission will help mobilize financial resources and logistical support to facilitate the operationalization of the mechanisms agreed to by the concerned countries (support to the establishment of Headquarters and the organization of regular consultations, more operational support to mixed units, among others). It is understood that the AU’s role would be more important when the PSC, instead of simply authorizing the security mission to be undertaken, mandates it. The conduct of the mission is then done at the continental level. A concept of support at continental level and the modalities for its implementation will be submitted by the Commission to the countries of the region. (iv) support for cultural preservation, including assisting the then transitional authorities of Mali, as necessary and feasible, in protecting the cultural and historical sites in Mali from attacks. 40. The resolution authorized MINUSMA to use all necessary means, within the limits of its capacities and in its areas of deployment, to carry out all the aspects of its mandate as outlined above. Furthermore, the resolution authorized the French troops, within the limits of their capacities and areas of deployment, to use all necessary means and to intervene in support of elements of MINUSMA when under imminent and serious threat, upon request of the UN Secretary-General. 41. Due to the increasing terrorist attacks in the northern Mali, a ministerial meeting of the African Troop Contributing Countries to MINUSMA was convened in Niamey, Niger, on 5 November 2014, with the participation of the Commission. The objective was to identify practical measures to enable MINUSMA to more effectively discharge its mandate. In this regard, specific recommendations were made, focusing particularly on the strengthening of the operational capabilities of MINUSMA and on the generation of additional forces to enable the Mission reach its authorized strength. 42. The Nouakchott Summit, having welcomed the conclusions of the Niamey ministerial meeting, called upon the UN Security Council to urgently take the necessary steps to strengthen the capacity of the Mission. The Summit expressed the readiness of the countries of the region to contribute to the strengthening of MINUSMA, particularly through the establishment, along the model of the Intervention Brigade of the UN Stabilization Mission in the Democratic Republic of the Congo (MONUSCO), of an intervention force to be deployed in northern Mali, within MINUSMA, with robust rules of engagement and equipment to enhance the effectiveness of the fight against terrorist and criminal groups and facilitate the successful conclusion of the stabilization efforts. 43. On 15 May 2015, the Government of Mali and the Movements of the Algiers Platform signed the Agreement for Peace and Reconciliation in Mali, emanating from the Algiers Process. On 20 June 2015, the Coordination of the Movements of Azawad (CMA), also signed the Agreement. With regard to defense and security, the Agreement provides substantive reform of the Malian defense and security forces, on the basis of the principles of unity, inclusiveness and representation of all the Malian people and the gradual redeployment of the thus reconstituted forces in the northern part of the country. Annex 2 of the Agreement contains a series of provisions in the area of defense and security. 44. In its resolution 2227 (2015) of 29 June 2015, the Security Council, having authorized MINUSMA to take all necessary means to carry out its mandate, within its capabilities and in its areas of deployment, adjusted the mandate of MINUSMA to include the following tasks: to support, monitor and supervise the implementation of the ceasefire and confidence building measures by the Government, the armed groups of the Platform and the CMA; support the implementation of the defense and security aspects of the Peace and Reconciliation Agreement; and support the stabilization of key population centers and other areas where civilians are at risk, by carrying out, among others, long-range patrols. The resolution extended the mandate of MINUSMA to 30 June 2016, as well as the authorization given to the French troops to use all necessary means to intervene in support of MINUSMA elements. (iii) facilitate, within its capabilities, humanitarian operations and the delivery of assistance to affected population. (vi) contribute to operational coordination among the different forces present on the ground, whether they are Malian or international. 48. The first option would be to establish the force along the lines of the Intervention Brigade of MONUSCO, as requested by the Nouakchott Summit. The countries of the region, which pledged troops, will have to mobilize the necessary equipment for the implementation of the mandate of the force as determined above. This option would make it possible to benefit from the financial resources mobilized for MINUSMA under UN assessed contributions and the logistics of the Mission. It would also make it possible to ensure greater strategic coherence in the international action to address the prevailing challenges in northern Mali. 49. However, this option has its own limitations: the process of establishing the intervention force could take time as it requires consensus at the UN Security Council, which should adopt a resolution to this end. It should be noted that the recommendations of the Niamey ministerial meeting and that of the Nouakchott Summit were not taken into account during the renewal of the mandate of MINUSMA. Furthermore, in its resolution 2098 (2013) of 28 March 2013, which authorized the establishment of the MONUSCO Intervention Brigade, the Security Council clearly specified that the decision was adopted «on an exceptional basis and without creating a precedent or prejudice to the agreed principles of peacekeeping”. These principles, specified in the preamble of the resolution, are as follows: “consent of the parties, impartiality, and non-use of force, except in self-defense and defense of the mandate”. Furthermore, it is instructive to note that the High-Level Independent Panel on UN Peace Operations, in its 15 June 2015 report titled “Uniting Our Strengths for Peace, Politics, Partnerships and People”, expressed the conviction that “UN peacekeeping missions, due to their composition and character, are not suited to engage in military counter-terrorism operations. They lack the specific equipment, intelligence, logistics, capacities and specialized military preparation required, among other aspects. Such operations should be undertaken by the host Government or by a capable regional force or an ad hoc coalition authorized by the Security Council”. 50. Consequently, and in order to move forward this option, the following is necessary: strong political engagement of the countries of the region and other African States for the international community, especially the permanent members of the Security Council, to support the establishment of the force; preparation, by countries of the region and the AU, with the involvement of the UN and international partners, of strategic and operational level CONOPS (logistical support concept and coordination mechanisms with the other forces present on the ground) and rules of engagement; and the adoption by the PSC of the strategic CONOPS and its transmission to the Security Council, for consideration and action as appropriate. 51. The second option would consist of creating a separate force from MINUSMA but benefiting from an assessed contribution funded UN support package, along the lines of the existing arrangements between the AU and the UN regarding the AU Mission in Somalia (AMISOM). AMISOM was established by the PSC at its 69th meeting held on 19 January 2007, with the following mandate: (i) provide support to the Somali institutions in their efforts towards the stabilization of the country and the furtherance of dialogue and reconciliation; (ii) facilitate the provision of humanitarian assistance; and create conditions for long term stabilization, reconstruction and development. AMISOM was supposed to be transformed into a UN peacekeeping operation after six months. However, this transition could not take place, as the UN considered that conditions were not conducive to the deployment of a peacekeeping operation. 52. Against this background, and following sustained efforts by the AU, the UN, in 2010, decided to establish a support package for AMISOM funded by assessed contributions. This support has been renewed since and expanded, as AMISOM strength increased significantly, moving from the initial 7,500 to 22,126 uniformed personnel contributed by Burundi, Djibouti, Ethiopia, Kenya and Uganda. The mandate of the Mission was adjusted by the PSC at its 356th meeting, held on 27 February 2013, to include notably the following: taking all necessary measures to reduce the threat posed by Al Shabaab and other armed groups; assisting in consolidating and expanding Government control over Somalia; and providing technical and other support for the enhancement of the capacity of the Somali State Institutions. In its resolution 2232 (2015) adopted on 28 July 2015, the UN Security Council authorized the AU Member States to maintain the deployment of AMISOM uniformed personnel at 22,126; and requested the Secretary-General to continue to provide logistical support package for AMISOM until July 2016. The support package is delivered by a dedicated UN Support Office to AMISOM (UNSOWA) and includes the following main categories: transportation services, rations, fuel for vehicles and generators, general supplies and camp services, aviation services, engineering and field defense stores, communication and information technology, transportation of cargo and contingent personnel, medical services, explosive threat management capacity, catering, welfare, and geographic information systems. 53. As part of the support extended by the UN, the AU and the UN regularly undertake joint exercises, such as benchmarking exercises, strategic assessments and joint planning, including the development of CONOPS. The two institutions endeavor to closely coordinate their political strategies in Somalia. Furthermore, the AU submits regular reports to the UN Security Council on the implementation of AMISOM mandate. Finally, the UN support to AMISOM, as a non-UN force, is informed by the UN Human Rights Due Diligence Policy (HRDDP). 54. In order to move this option forward, the following is needed: deployment of a joint UN/AU/ECOWAS team to assess the threat, to be followed by the development of a CONOPS that would detail the coordination modalities with MINUSMA and other international forces; adoption by the PSC of a decision requesting the UN Security Council to lend the necessary support; mobilization of the political support of the international community, particularly the permanent members of the UN Security Council; and adoption by the UN Security Council of a resolution authorizing the deployment of the intervention force and the provision of a support package. 55. The third option would be to design the proposed intervention force as a separate entity from MINUSMA, both at the operational and logistical levels. This has the following advantages: simpler and more effective command and control system, faster decision-making process and possibility of giving a much more robust mandate than that of the conventional peacekeeping operations. (viii) all MNJTF operations are conducted in strict compliance with the International Humanitarian Law. 57. This option could slightly vary based on the experience of the AU concerning the deployment of the Regional Task Force (RTF) of the Regional Cooperation Initiative for the Elimination of the Lord’s Resistance Army (RCI-LRA), established by the countries affected by the atrocities of the LRA, with the support of the AU and international partners. Unlike the MNJTF, the AU manages directly the operational headquarters of the RTF, whose personnel is provided by the member countries of the RCI-LRA. This third option has limitations related particularly to the difficulty of mobilizing the huge financial and material resources required for the deployment and sustenance of the operation. 58. In order to move this option forward, the following conditions are necessary: strong mobilization of the countries of the region and commitment to ensure autonomous logistical support for their units, on the understanding that the AU will mobilize additional support from its partners; development of a strategic CONOPS and other operational documents; approval of the CONOPS by the PSC, which will determine the mandate of the force; and adoption by the Security Council of a resolution or a presidential statement supporting the establishment and deployment of the force, so as to facilitate the mobilization of international support. 59. MINUSMA is making commendable efforts in the implementation of its mandate. At the same time, the Mission faces many challenges. On the one hand, there is the security situation obtaining in northern Mali and the incessant attacks on the Mission and its staff, causing heavy losses in its ranks. On the other hand, there are constraints which are peculiar to the Mission, related to its strength and equipment. 60. As of 1 August 2015, the deployment of troops stood at 87% out of the 11,200 authorized strength of the military component. In his report of 11 June 2015, the UN Secretary-General indicated out that the force was composed as follows: manoeuver units (66%), enablers (29%), and force multipliers (5%). The force is deployed in Bamako (10%), in Sector West - Timbuktu and Mopti (26%), in Sector East - Gao region (36%) and in Sector North - Kidal region (28%). The deployment of the police component stood at 72% of the authorized strength of 1,440 personnel. - support to the enhancement of the capacity of the Malian defense and security forces, which are eventually expected to take over from MINUSMA, and to the implementation of the relevant aspects of the Peace and Reconciliation Agreement. In this respect, the Commission envisages to deploy a team of experts to Mali to identify jointly with the relevant Malian authorities modalities of an enhanced African support to their efforts, including sharing of experiences and training. 62. The security challenges in the Sahel, the transnational nature of the risks and threats, and the geographical configuration of the region (long borders, vast territorial spaces where the presence of the State is very limited or non-existent) require enhanced coordination and cooperation among the concerned countries. No single country can, on its own, successfully address these challenges. Against this background, the Nouakchott Process provides a flexible and appropriate framework for the countries of the region to pool their resources to better ensure their security in a spirit of shared responsibility. The joint patrols and mixed units are cooperative arrangements appropriate for the problems at hand and they make it possible to optimize the available limited resources. 63. A number of initiatives have already been taken by the countries of the region on a bilateral or multilateral basis (G5 Sahel) to enhance their security cooperation, particularly through joint patrols. The commendable results that have been achieved need to be consolidated. The objective being pursued within the framework of the Nouakchott Process is twofold: on the one hand, systematize the concept of joint patrols and increase their efficiency through a continuous process of lessons learned; on the other, encourage more advanced forms of cooperation through mixed units, involving the capacities available under the ASF and the African Capacity for Immediate Response to Crises (ACIRC), within the spirit of the relevant African instruments, including the Common African Defense and Security Policy and the AU Non-Aggression and Common Defense Pact. 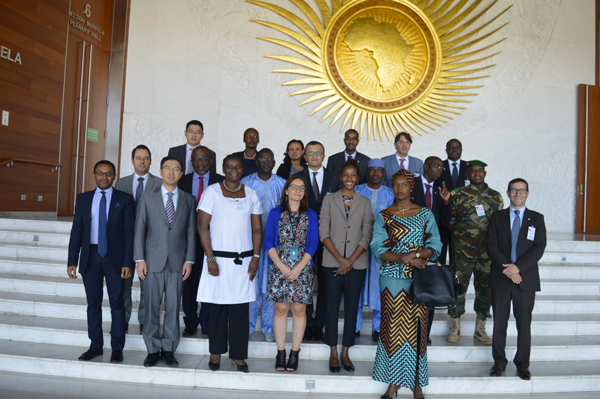 Ultimately, the objective is to foster ownership by the countries of the Sahel region of the processes and initiatives in the search for solutions to the security challenges facing the region, with the support of the regional organizations, the AU and the international partners. 64. The establishment of an intervention force for northern Mali is more relevant than ever before in view of the security situation obtaining on the ground, including the threat that the terrorist groups continue to pose to the implementation of the Agreement for Peace and Reconciliation in Mali. Furthermore, the situation in Libya, characterized by the collapse of State structures and the growing threat posed by the Islamic State terrorist group, continues to affect adversely the entire region, including northern Mali. MINUSMA is not mandated to undertake counter terrorism operations, and the process of building the Malian army will take time to achieve the expected results. In this context, it is important to accelerate consultations among all concerned stakeholders on the modalities for the establishment of the proposed intervention force. Obviously, this security response must be accompanied by sustained political efforts towards the full implementation of the Agreement for Peace and Reconciliation. 65. 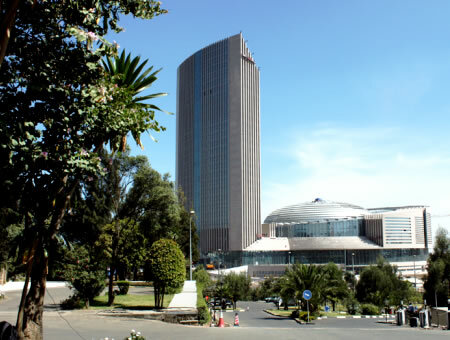 The security related efforts should be part of an overall strategy for advancing the objectives of good governance, respect for human rights, the fight against poverty and promotion of development, on the basis of the relevant AU instruments and decisions, including those relating to situations of fragility. It is on this condition that such efforts could be effective and achieve lasting results. In this regard, the AU intends to intensify its efforts for the effective implementation of its Strategy for the Sahel, as adopted by the PSC. 66. The enhancement of the security cooperation in the Sahel region, as proposed above, will initially require the mobilization of additional financial resources and material support from the international partners. In this regard, the Commission plans to take the necessary initiatives, in support to the countries of the region, including through the use of existing financial tools, such as the African Peace Facility. Ultimately, the objective is to enable the countries of the region to assume full responsibility for their own security through the pooling of their capacities and the mobilization of the necessary domestic resources.